Before you buy or adopt that Siberian Husky puppy you need to understand the commitment you are about to make. Huskies typically live 12 to 14 years of age, with some living to 15, 16, or even a little longer. 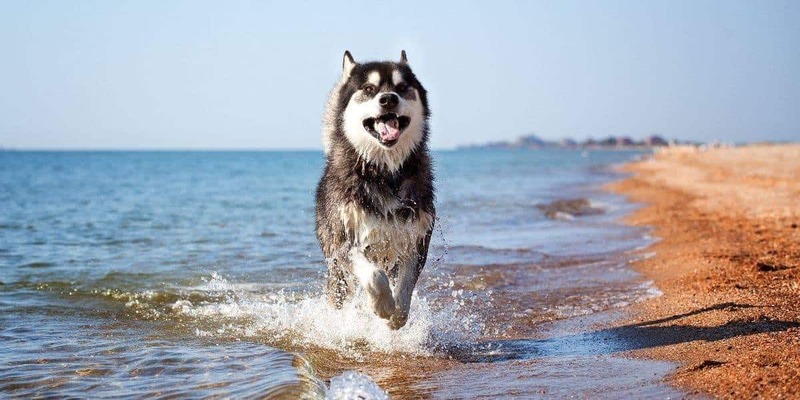 Here is what you need to know about giving your Husky a long and fulfilling life. 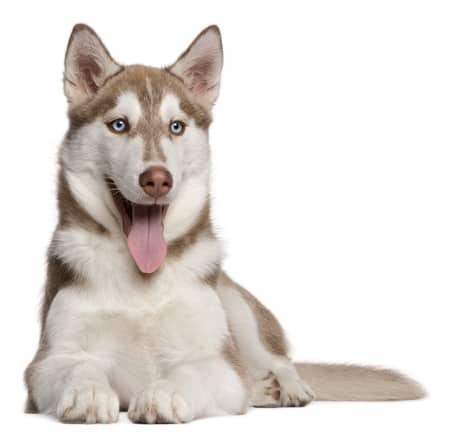 Huskies are prone to some genetic defects such as hip dysplasia, blindness and other eye issues. Although none of them will end a dog’s life, they may put yourself in the difficult position of needing to put the dog to sleep (more on that below). We have some more specific information on the various health issues of Husky puppies available if you want to read more about these genetic issues and what to look out for when choosing a Husky puppy. The size that your Husky grows to will indirectly affect its longevity. Obviously an overweight dog is simply not going to have the stamina, muscle mass, and immune system to last through old-age for very long. As with any breed there will be genetic variations in size. Do larger dogs die sooner? Maybe, but the research can not explain exactly why. In any event the Husky breed, with the exception of a miniature variant being bred, has a largely consistent adult size and small variations are unlikely to lengthen or shorten the lifespan significantly. Related to overweightness is the exercise your Husky is receiving. Just like people, you are probably going to live a little longer if you keep in shape compared to sitting on the couch all day. Hopefully you have it in you to exercise your Husky every day, from a puppy to adulthood. Not sure? Read our tips on exercising to know what you are getting in to! … difficult decisions need to be made in your Husky’s interests. Putting your dog to sleep (euthanasing it) is something you should be prepared for in advance. That doesn’t make it any easier, but at least you might have an idea of when to say goodbye. A dog in pain from health issues (such as dysplasia), or having trouble with organs functioning they way they should, might warrant a peaceful end to a happy life. Do you really want your last memories to be of your family pet in agony? Your vet can recommend a course of action in advance so that decisions can be made before emotions run high. From a healthy happy puppy right through 14 fantastic years till the end is reached, you can have a loving relationship with your Siberian Husky. Although some genetic factors affecting life span are out of your control, things such as feeding and exercising are totally in your control! So do the right things and you can give your Husky a long and satisfying life.